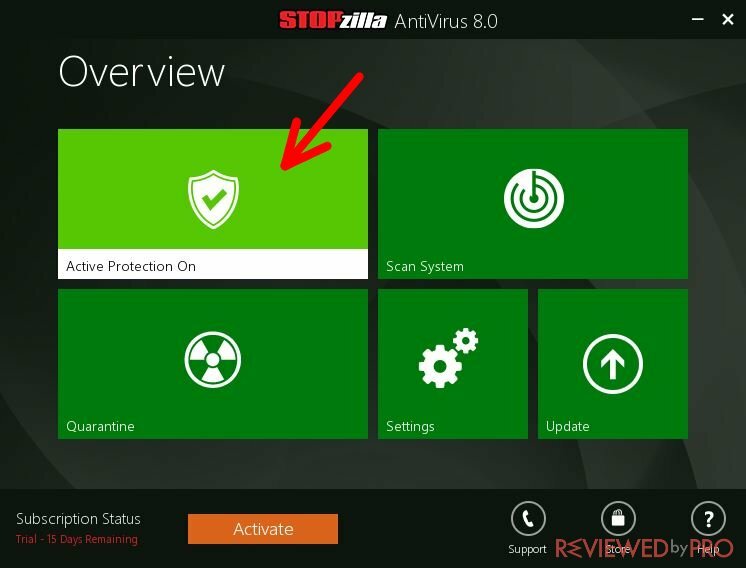 This is a guide to installing and using the STOPzilla AntiVirus software. This will help you to download STOPzilla AntiVirus, install it and learn about the main features. This software is compatible with Windows 10, 7, 8, and Vista. You can get the mobile version of the app for Android operating systems too. You can easily download STOPzilla AntiVirus from this page. As the installation file is very small, it will be downloaded immediately. To begin the installation, open the setup file that you downloaded from before. The latest updates will be automatically downloaded after you open the file. 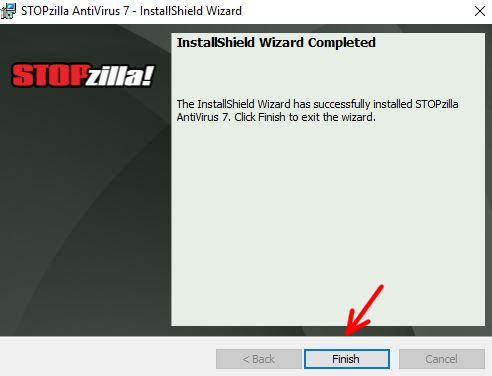 Follow further instructions and you will install STOPzilla quickly and correctly. 1. 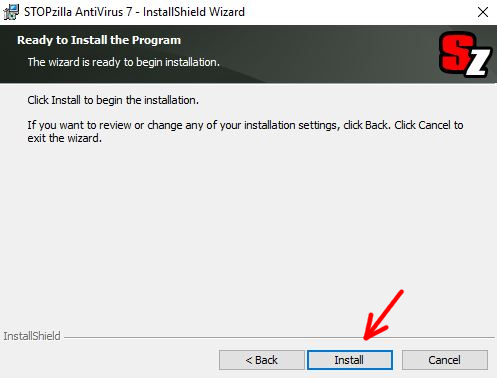 After you open the installer, you will get a window which notifies you that you are going to install STOPzilla on your computer. Click “Next” to proceed. 3. This window lets you go back and change previous settings. 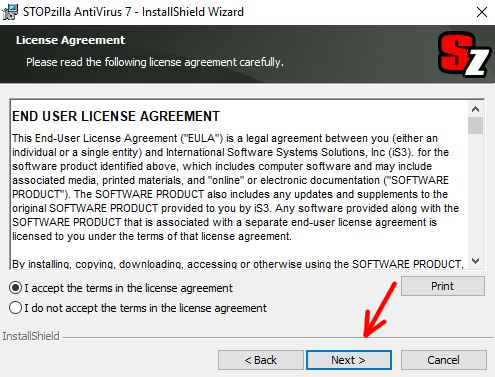 If you are sure that everything is correct and you read the license agreement, click “Install” to begin the installing. The process is quick and will only take a few seconds to complete. Congratulations, you have successfully installed STOPzilla AntiVirus on your computer! Click “Finish” to close the window. There are five main sections in STOPzilla AntiVirus menu. Each of them has its own important purpose, and we will explain everything. Active Protection – you can disable active protection by clicking on this section. The warning window will pop-up. It is not recommended to turn the protection off, as the risk of getting viruses will increase extremely. Every scan is unique and you choose what you need – whether you need a quick virus scan, a full computer scan, or a custom scan for the particular locations on your computer. Quarantine – here are all threats, which were found during past scans. When an infected file is detected, you can send it to the “Quarantine” list. It will be safe here and will not harm your computer. You can restore or remove it whenever you want. You can change everything from gaming mode to whitelist settings, and more. Update – if your software is outdated, “Update” section is the place you should check out. We recommend you to check for updates regularly because various scan fixes come with these updates – viruses, threats and other malware will be found even easier. 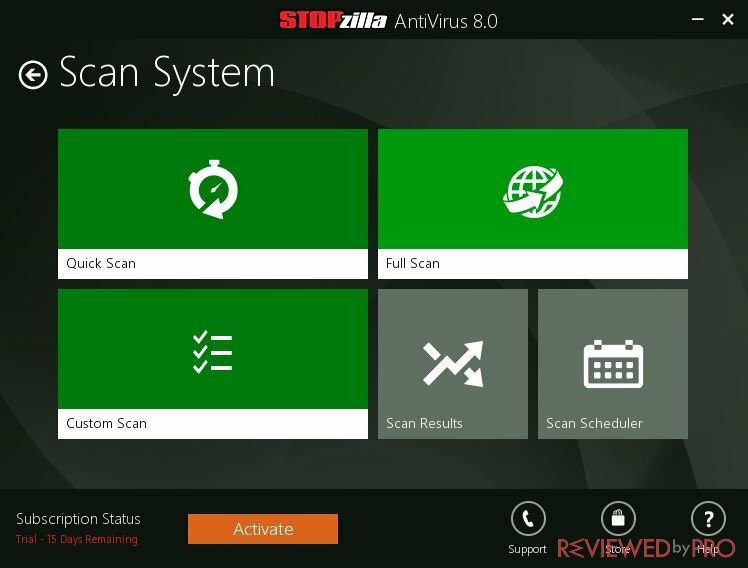 To perform a scan, open STOPzilla AntiVirus first. Then, click on “Scan System” and choose, which scan you want to perform (Quick, Full or Custom). If possible, it is recommended to use the full scan, because this is the most reliable and detailed type of scan. It will take some time, but it is the most effective of them all. After a scan is completed, select all the detected threats and choose what you want to do with them. You can purchase the full STOPzilla version if you are satisfied with the demo version. Press on “Activate” if you want to buy the full version. Then, choose purchase in order to get the activation code. You will be redirected to the official website. Here you can fill in your subscription and billing details. 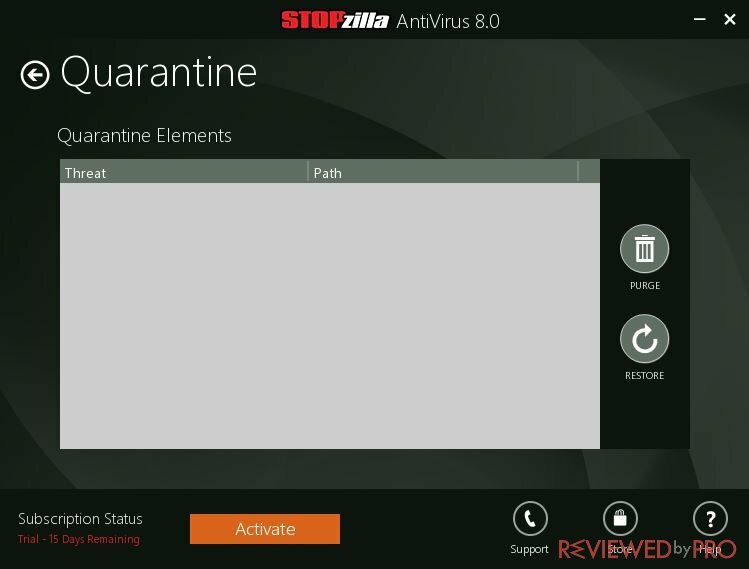 Congratulations, you have just bought the full version of STOPzilla AntiVirus!